Cagamas Berhad (Cagamas), the National Mortgage Corporation of Malaysia, was established in 1986 to promote the broader spread of house ownership and growth of the secondary mortgage market in Malaysia. Cagamas issues debt securities to finance the purchase of housing loans from primary lenders. The provision of liquidity at a reasonable cost to the primary lenders of housing loans encourages further expansion of financing for houses at an affordable cost. The programme 2016 is intended to reach out to deserving Malaysians who are in need of financial aid to pursue their education. What Does The Scholarship 2016 Offer? There will be no bond to this scholarship and the recipients are not required to repay the amount of scholarship awarded. 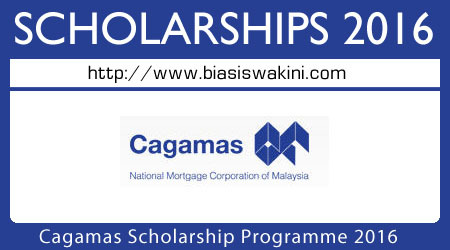 An induction programme will be provided to all recipients of the Cagamas Scholarship Award. This is to ensure the recipients understand the mandate, vision, mission and values of Cagamas. Each recipient will be assigned a “mentor” from the Management team. The mentor will provide consistent and continuous mentoring throughout the programme. This is to ensure that the recipients have the necessary support and are able to leverage on the experience of our management team. In summary, the programme will cover the above fees and allowances up to a maximum of RM20,000 per person per annum. The scholarship will be offered on a yearly basis to successful applicants, to undertake up to four years of undergraduate studies locally. This notice of offer for the scholarship is open for applications from all Malaysian students in need of funding. Students who have started their undergraduate studies are also eligible to apply provided they meet the requirements. 7. Applications will only be considered if they meet the eligibility criteria; the specific field of study and the list of colleges and universities as approved by Cagamas. 2. The offer of scholarship will be subject to acceptance of the terms and conditions of a scholarship agreement with Cagamas. 3. Recipients of the scholarship award will be required to fulfil conditions as set out in the scholarship agreement including, but not limited to, maintaining a minimum ‘Cumulative Grade Point Average’ (CGPA) of 3.00 or achieve a minimum of ‘Second Class Upper’ in the final examinations. 4. Is in breach of any of the terms and conditions of the Cagamas scholarship agreement. You will need to submit your application via Cagamas Undergraduate Scholarship Programme Application online application form which can be click from here. 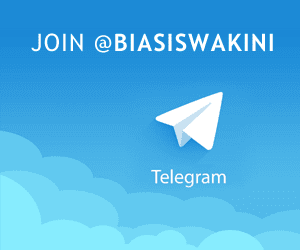 0 Komentar untuk "Cagamas Scholarship Programme 2016"